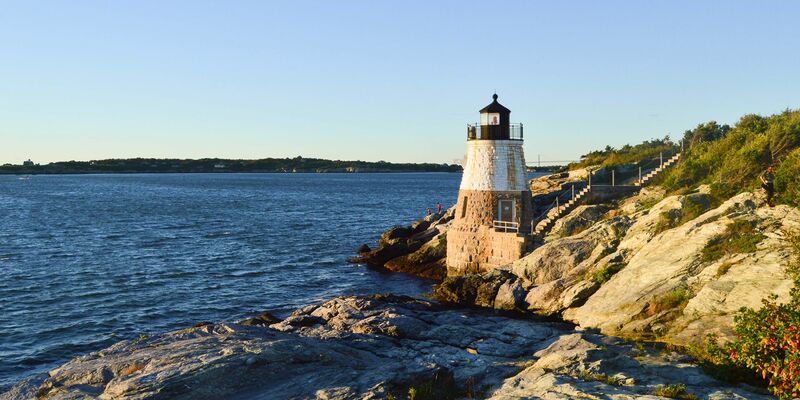 Along the eastern shore of Newport, Rhode Island, the Cliff Walk combines the natural beauty of the shoreline with the architectural integrity that you’d expect from this historic community. Running from the east end of Bailey’s Beach to the western end of First Beach (and behind many of Newport’s famous mansions), the Newport Cliff Walk is considered one of the top attractions in Rhode Island and has even been designated as a National Recreational Trail. Enjoy the picturesque scenery as you gaze across beautiful vistas and Newport waterfront. Ready for some fun in the sun? Located adjacent to the Cliff Walk, Easton’s Beach is Newport’s longest beach and recreational area. Enjoy a peaceful escape in a timeless setting right on the ocean. Moreover, it features delights such as a carousel, aquarium and concessions. From here explore the timeless elegance of the area’s chic restaurants, boutiques, galleries and markets in the historic district on your short 15-minute walk to downtown Newport. If you’re seeking a little bit more waterfront adventure, we’ve stumbled upon your paradise. Experience unprecedented boating and sailing opportunities by getting aboard an America’s Cup 12-meter yacht or cruising on an outfitted motorboat. Whether you’re interested in kite surfing, parasailing, scuba diving or getting onboard a jet ski, there are a variety of options to choose from. From canoe and kayak rentals to harbor tours, there is never a shortage of engaging oceanfront activities in Newport, Rhode Island. Once you’ve taken advantage of all the things to do in Newport, relax in utter luxury in your exquisitely appointed guest room. The Chanler at Cliff Walk is a waterfront luxury destination that places you right at the center of Newport’s delights so that you can experience the convenience of nearby attractions and the peacefulness of your own private oasis.